The Formula 1 2019 season has begun! If you're hoping to watch Formula 1 live online or on Kodi, you're in luck. There are several free and paid options for eager racing fans. This guide will show you which options are readily available through the web. Formula 1 racing begins its 2019 season with the Australian Grand Prix in Melbourne on March 15. Thankfully, Kodi is a great option to watch any of the international Grands Prix live, although you may need a VPN to get complete and anonymous access. Our guide will show you how to watch Formula 1 for free, even abroad. Importantly, our guide will only show you how to watch Formula 1 races using official sources. Popular sporting events like Formula 1 are often made available through unofficial sources. However, ripped streams are typically offered on addons that may malware, while those unofficial streams are far more prone to buffering and failing. Several official sources will let you stream Formula 1 without paying a dime, with streams available through Kodi addons. To watch Formula 1 races for free, you may need a VPN in the US and other locations. BEST VPN FOR KODI:IPVanish is our top choice. The service has a large network of fast, uncongested servers. IPVanish offers strong security, privacy, and anonymity features that make it an excellent choice for Kodi users streaming from any device, including the Amazon Fire TV Stick. Try it risk-free with the 7-day money back guarantee. We strongly suggest running through the steps above well in advance of when the Australian GP begins. Testing your options early can help prevent missing any of the racing action. Formula 1 racing broadcast rights are complex. You won’t be able to watch every country’s Grand Prix through Kodi. 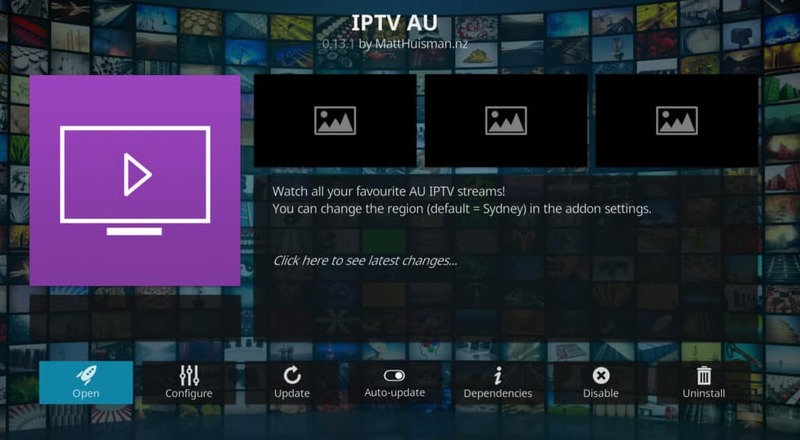 This list will cover your top, free-to-air or paid channel options available through various Kodi addons. If you have a TV streaming device, such as the Amazon Fire Stick or Apple TV, you may want to use Kodi instead of a web browser to watch F1 racing. If this is the case, here are your options. 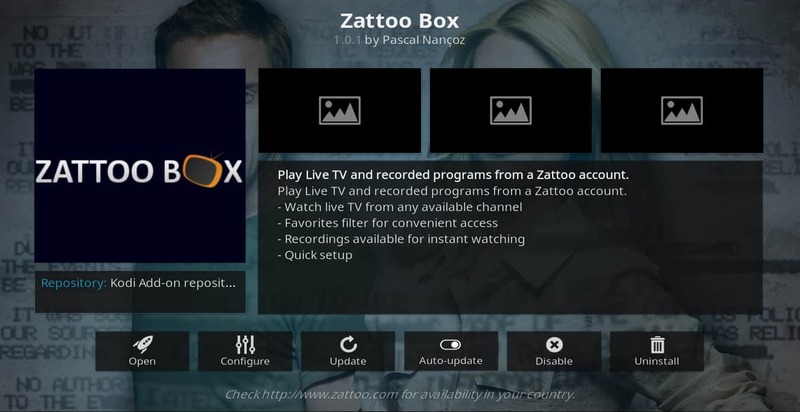 The Zattoo Box Kodi addon lets you connect to your Zattoo account without a web browser. It also bypasses the Zattoo advertisements (there will still be advertisements from the channels themselves). To install it, load Kodi and then click addons → download → video addons → Zattoo Box. This will open the information screen for Zattoo Box. Click install to finish installing. When you use Zattoo Box for the first time, right-click the addon and click settings. Input your Zattoo username and password into the fields provided. Click OK, then open to get to the main menu. The Channel 4 stream can be accessed from the LiveTV – all channels menu. This option will only carry the Australian Grand Prix, however. You can install this addon from the Matt Huisman repo. Further instructions available from Matt Huisman’s personal website. If you opt for ESPN through PlayStation Vue, there’s a convenient Kodi addon that works well with the service. You can access your PlayStation Vue account and watch the entire Formula 1 line-up of Grand Prix races. The PS Vue addon will also work if you’re using the free trial for the service. 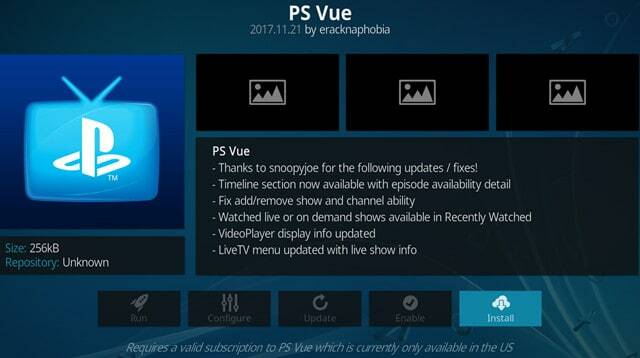 You can install the PS Vue Kodi addon directly from the official Kodi addon repository. Brand new as of 2019, there is now a working addon for Sling TV users. For Formula 1 racing fans in the US, Sling TV is the cheapest option to watch ESPN online. You can get Sling TV for $15/month for the first three months, and then $25/month after, with a 7-day free trial. 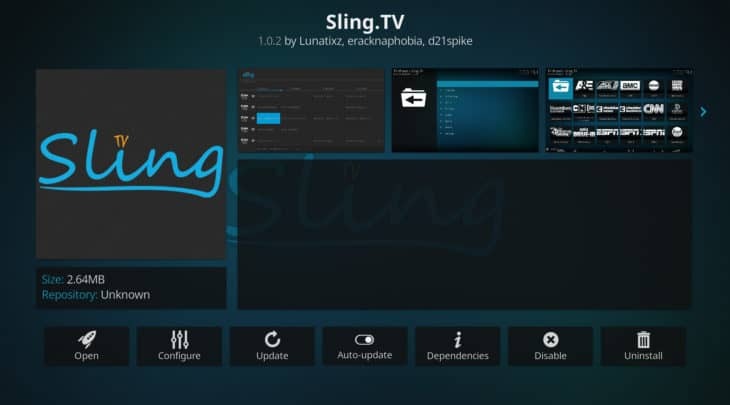 The Sling TV Kodi addon is available through the official Kodi addon repository. 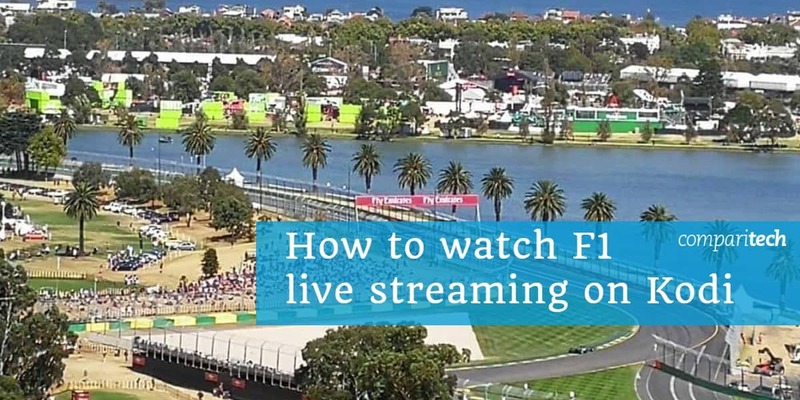 We hope you’ve found this guide to watching F1 live streams online or through Kodi helpful. If you’d like more information about how to see the best TV shows and movies online, you may want to read some of our other guides. These include How to install the Crackle Kodi addon, The Best VPNs for Tubi TV, and How to Watch Premier League Online or Through Kodi, amongst many others.